← PTSD- Your not alone! This was an enormously interesting blog post, Lori. It gave me a lot to think about and provided plenty of information to do so! I enjoyed reading it! Well done! Lori, this is so well-written and informative. I remember when reading your outstanding book that teaching these women were your happiest days ina brutal country. I believe these women, who are allowed to further their education will one day overturn the culture of past centuries so full of cruelty and male dominence. Lori, this is excellent writing and great information. I remember in your book, your happiest days were teaching these strong women surviving under the brutality of a male culture. I truly believe as more of these wowen become eduacted-and they are allowed education, they will one day take back their culture and overcome the cruelties that they have sufferd for centruies, Wondeful post! I enjoyed reading your article about the Iranian women and see the similarities and differences between them and American women. I’ve been happily married for 31 years so I can see this from my perspective and offer this advice: if you truly want a fulfilling relationship with your spouse you must have a third party involved, that is, the Christian God, Jesus Christ. Without Him as the center of your relationship it is very hard to have a good marriage. (Of course, I’m not saying it is impossible.) Islam puts tremendous pressures on two people and puts women in a subservient role, so that doesn’t help the relationship to grow or blossom like it should. I know I sound old fashioned and religious, but the Bible (esp. the New Testament) offers the prescription for a healthy marriage relationship and that guidance has never failed me in 31 years. That’s my insight for whatever it is worth. Thank you for letting me share it with you. That’s wonderful and I’m happy for you but this has nothing to do with marriage, it has to do with cultural perspectives on women in general. Unless I’m missing something. I loved the insight that you provided in this article. Great post. My heart goes out to these women. I don’t know what your political views are, but to me, their demise began when Pres. Carter allowed that maniac to return to Iran, from Paris. Just a thought. Blessings. Lori, this is an awesome article! 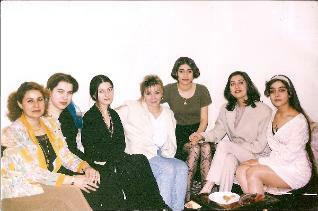 You have perpetuated the life and times of the Iranian woman in a truly compassionate light. Americans are spoiled and have no idea what it is like to live in a country without freedom. I am tweeting, pinning, scooping, and sharing this post everywhere I can. Thank you for such enlightenment!